Should I Take On Debt in My Small Business? As a collection agency for small businesses of all kinds, you probably know our philosophy on debt. Well, because we’re working hard to resolve that debt for our clients day in and day out. That’s what we do. Resolve debt. The individuals, and in many cases, other small businesses we are calling on, are in some kind of debt. For whatever reason, they are not paying their bills on time or paying them at all and most times, there is a reason. Debt, in most cases has a negative association attached to it because so many get in trouble with it. You may be one of them but we find that there are many small businesses out there that do not even have a budget. And as a collection agency that works with small business, we find that kind of troubling. A budget can mean the difference between being profitable and, well, not making a profit. And we all know what happens when our business cannot turn a profit. I am coming up to my one year anniversary with American Profit Recovery and I was asked to write an entry for the blog. The hard part was not actually writing a blog, but what to write about. There has been so much that has happened in this short 12 month period. Where to begin? Recently, we celebrated employee week at American Profit Recovery. This week happens once a year in the summer time and is probably one of the most fun weeks of the year at the company. For this week, all employees split into teams and compete in a week long, friendly competition, with the winning team receiving prizes at the end of the week. Also, numerous events, games, and meals are held across the whole week, both during and after work. These include trivia games, “Minute to Win It” style games, lunches and breakfast provided by the company, a night of bowling, and a Detroit Tigers baseball game. I feel lucky to work for a company that values every employee, and shows it too, both with time and money. Many employees come in every day and put in a lot of hard work, and it never goes unnoticed here. The annual Employee Week and the regular recognition throughout the year make APR truly a great place to work. 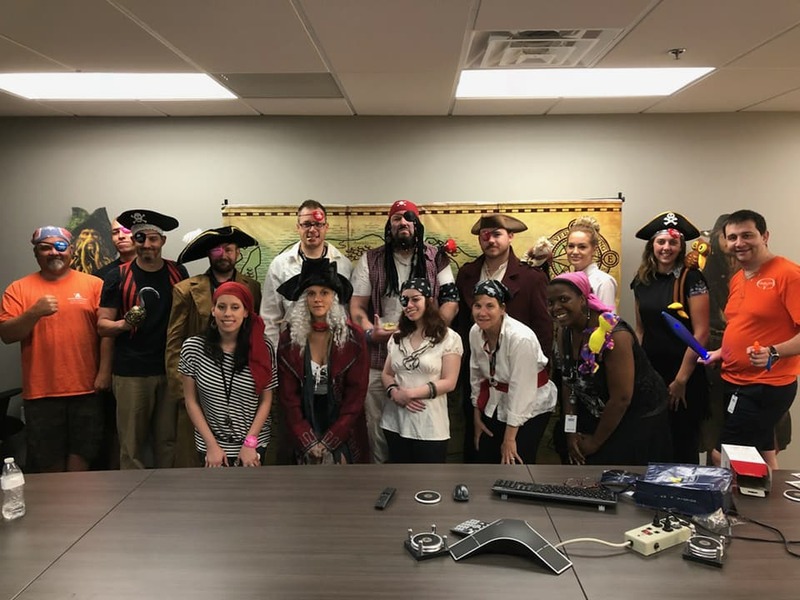 See what some of my fellow team members have to say about the best Employee Week in the business! “You can walk past someone every day that you work with and not know a thing about them. Employee week provides the opportunity to bring everyone together, learn more about your co-workers and have FUN !!! !” Thank you to the owners for making it happen every year !!!! With Earth Day just past. I thought it would be fun to talk about one of my favorite volunteer opportunities that American Profit Recovery offers. 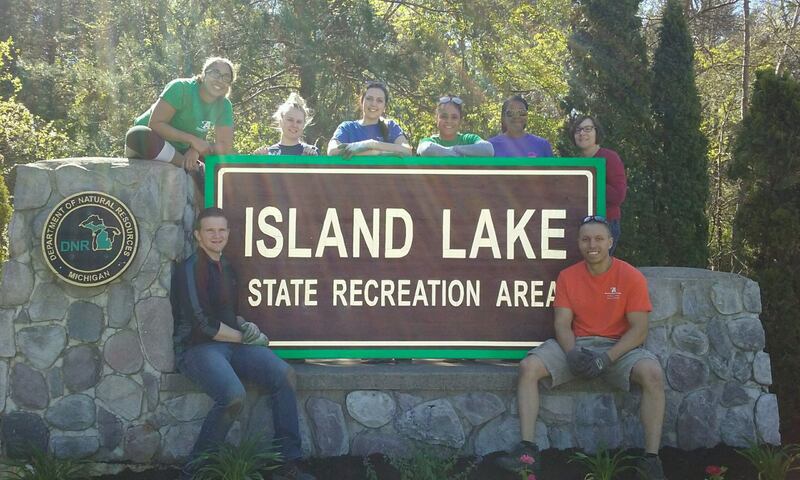 It is nice being able to spend a day outside with my other team members working together to make one of our State Parks in Michigan beautiful, especially after all the winter blues! From building picnic tables, cleaning up leaves, pulling weeds and planting new flowers we definitely get stuff done! For the past few years we have gone to Island Lake Recreation Area in Brighton, Michigan. We split the day in half between everyone that volunteers which works out well so we aren’t taking any time away from helping out our clients and consumers. One shift goes in the morning and comes back about halfway through the day to relieve the next shift go over and finish up the day. There are two reasons that I love doing this day so much. First you get to spend time with all your team members outside your department. I like getting to know them developing relationships with them. When working in the office just a “Good Morning” or a smile as we pass can sometimes be all that happens when working the day to day grind. Having this opportunity breaks things up helps you get to know your team members in another way. Which isn’t offered at places that I have worked in the past. Second who doesn’t like to be outside on a warm sunny day?! Also seeing the final product when we are done is always rewarding. In my free time I love being outside cleaning up my own yard, spending a day a State park or out on the lake. So being able to say “APR and I made that State Park look pretty” as we pull in or drive by always makes me feel proud. With me being a lover of the outdoors being able to help get things cleaned up and keep our state great is always a nice way to give back. Looking forward to going this year as well and many more years to come! The Adopt a Family Program is my favorite charity program that American Profit Recovery participates in. Every year I shop for gifts and/or donate money for the program, but this year I was able to bring the gifts to a center to be distributed to the families. Not only was the center full of gifts for families, but also full of basics, like coats, hats, gloves, toiletries, and food. I was able to learn about how many families are in need in my local school district, and how these basics are given out to children who need them most. To witness how much is done to provide for these families and children around the holiday season was heartwarming and encouraging, and I am glad I could be a small part of it. Happy New year from all of us! 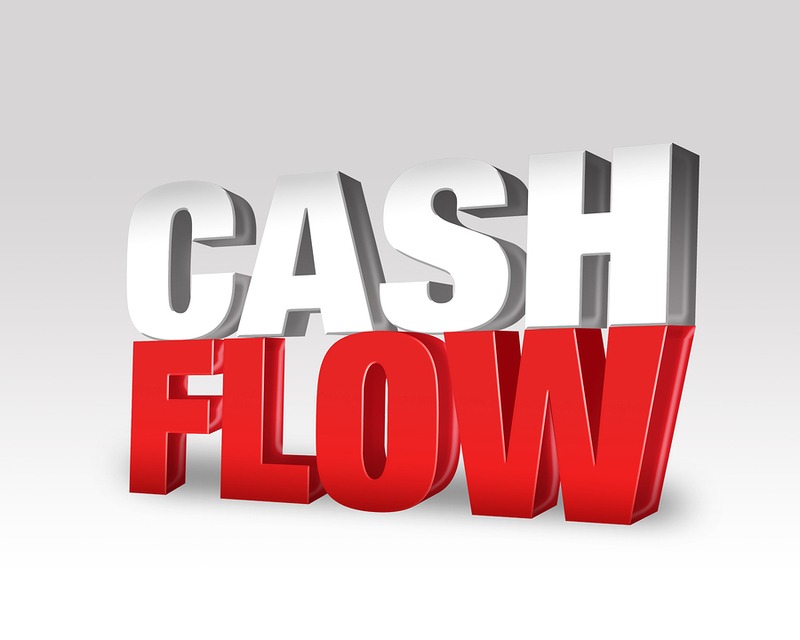 Cash flow should always be on your mind but it seems it’s never so much of an issue than when you are closing your books and going into a new year. At least your awareness of cash flow is peaked during these times because you are somewhat forced to look over your business finances. But it should be on your mind all year long because we know you have your own obligations to meet such as payroll, rent, and a whole host of other expenses. In short, paying attention to your business cash flow should be a year-round habit. While we know there are going to be times when you’ll need to turn over certain invoices to a collection agency, the sign of a healthy business lies in cash flow and the proper management of that cash. Here are a few tips our team at American Profit Recovery has come up with to help you stay on top of your cash flow. Manage your receivables-One of the quickest ways to see your cash flow disappear is to let those late and non-paying customers go too long. While it does not pay to be disrespectful about not getting paid, many in business wait far too long to get more assertive when it comes to collecting on those unpaid invoices. Make sure you keep on top of those that do not pay you but do it in a kind way. Know the difference between assertive and aggressive when it comes to debt collections. Manage what goes out the door- By the same token, make sure you keep a close eye on what cash is going out on expenses. Monitor those expenditures every month and cut anything that doesn’t make sense in your business. We also recommend you have your team do the same. Give them a little responsibility to make sure they are keeping an eye on everything they might spend. You’ll also want to ride the ups and downs of your business such as seasonal activity and adjust expenses such as inventory accordingly. Cash in the bank- If you are down to your last dollar, there’s not much that can bring you back from that. Make sure you have enough cash in the bank to keep your business afloat for up to six months. When you have negative cash flow, you are restricted on so many levels including growth, paying your bills on time as well as the ability to borrow more cash. Get help- You don’t have to do it alone when it comes to keeping cash flow in the positive. If you are having trouble getting your clients to pay, consider hiring a reputable collection agency to help your business. 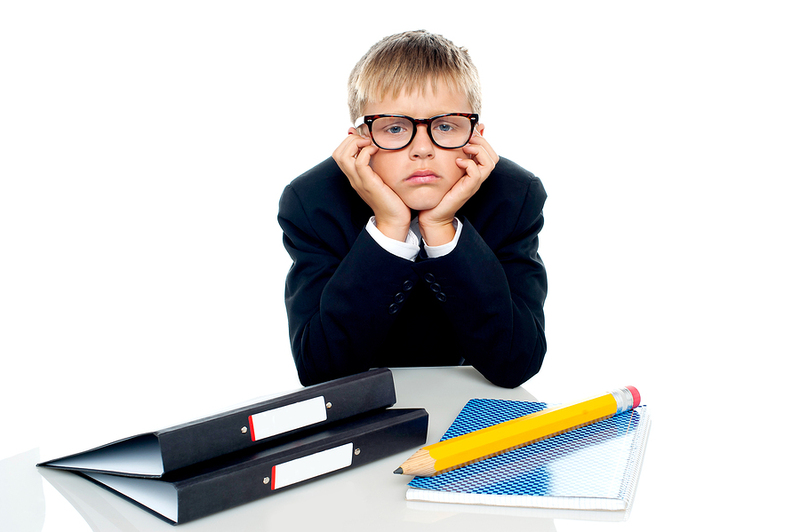 If you need help keeping your books up to date, hire a bookkeeper. And if you need funds to help grow your business, go talk with your local banker and explore your options. While we could argue what the true backbone of a business is, our belief is it’s in the cash flow. Without proper cash flow, you don’t have a business. Pay attention to it, treat it like the air you breathe and don’t let it get away from you. Why is my customer not paying me? If you are in business, then you have probably heard more excuses for things not happening than the average person. Maybe not as much as a school teacher but close. And when you are in business, you act much like a school teacher. Trying to provide the best you can while also waiting for your customers or students to keep up their end of the bargain. In the case of business, that’s paying you on time. But paying bills is almost as bad for some people as turning in their homework when they were in school. It didn’t get done and they need to come up with a few good excuses. Some are legitimate while other excuses are just that; excuses. When a bill gets to the point where it is turned over to a collection agency such as American Profit Recovery, we try hard to uncover why a bill has not been paid by a consumer. We are not there to interrogate that person but to arrive at a reason so we can resolve the situation in a manner that’s both fair and agreeable to both parties involved. Collection agencies hear reasons for unpaid bills every single day and it’s up to these professionals to decide what’s reasonable and what’s not. If that bill has not been paid to our clients, then we need to uncover why it hasn’t been paid. Is it an oversight? Is the consumer over committed? Do they just feel like they don’t have to pay the bill? Or did that have a bad experience with your company? As you might imagine, the list of reasons a consumer hasn’t paid you could be endless. But understanding if that reason is a legitimate one or just an excuse help you decide how you are going to resolve that delinquency the proper way. Check out our most recent video on why my customers don’t pay me on time. And call us if your customers are not paying you in a timely manner. Recently I attended the Yes Network for the session that featured, Billy Riggs. He had two portions in the session, first on “The Magic of Balance” and the second on “How to Become a Born Leader”. I took a lot away from his session in all and just wanted to highlight some key features I really enjoyed. In the first portion, The Magic of Balance…. I learned balance all revolves around what makes a person happy and how to create true happiness. Always altering your priorities to balance life, next your character as a person has a big impact on this; who you are, your value system and integrity. One good quote that Billy used for this was, “You cannot cheat yourself happy” this runs deep with me because it really does apply to the character of the person you are. One last piece that I really liked was nurturing your relationships makes happy people. A good example of this, is spending extra time with your family when it isn’t always easy to do so, because that time will eventually come to an end and good relationships and memories are crucial to happiness. If you to put everything I said above together, plus achievements, have a spiritual need and an attitude. You are said to be happy person. Once last quote that Billy mentioned was one I really liked, “Most are about as happy as they make up their minds to be” – Abraham Lincoln. As Billy’s first session could apply in both someone’s career and also their personal life. Billy’s portion “How to Become a Born leader” really applied to me on career level. In this seminar I learned that leadership is an art, of getting people to do what you want them to do because they want to do it. Somethings that develop a leader are knowing the difference between a boss and a leader. A boss is someone that forces, pressures and uses people. 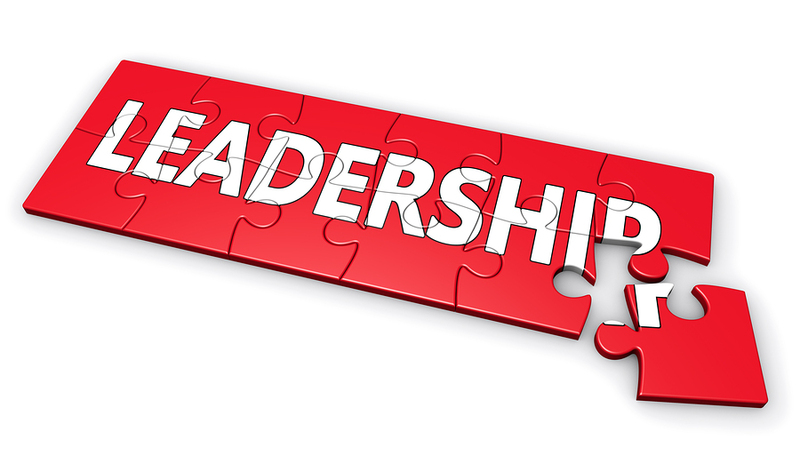 A leader is someone that, asks employees to do things, inspires, builds people up and gives credit. One other portion I found very interesting, no person is really natural born leader. There are stages or as Billy called it’s a “Leadership Pyramid” to becoming a born leader. Overall, it was a great experience for me to attend the seminar and learn some great things, I can use in my everyday life and also in my career at American Profit Recovery. It really is true that helping others feels better than helping yourself. Just ask our team. They have once again finished off another holiday season of helping area families in need. It’s the eighth year of our Adopt a Family program and our team just keeps upping their game when it comes to helping others. 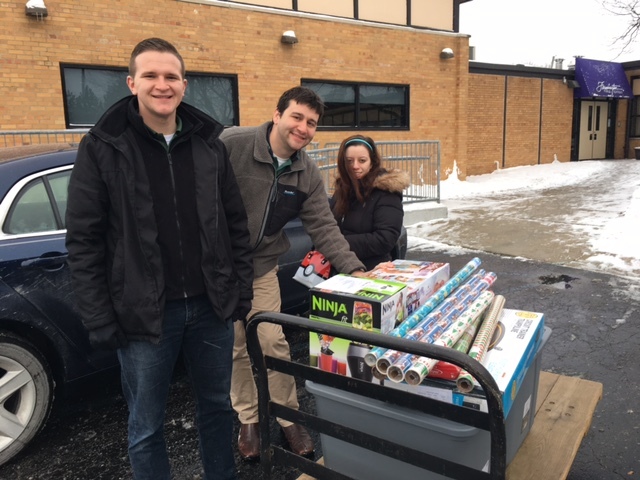 This past season our team in our Michigan office raised close to $1,000 and purchased close to 100 gifts for area families and children. We adopted three families that included six children all with the help of the Farmington Hills Public Schools. They bought toys and Legos, clothing and bedding for these families. 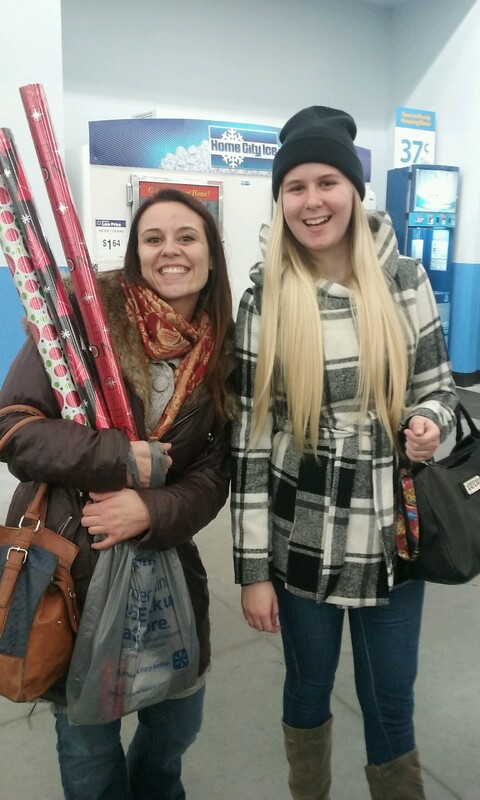 Our staff took time out of work and their personal time to purchase gifts for these are families. They also took money out of their own pockets to do so. That’s commitment. We have now in the past eight years helped 20 families and raised over $8,000 for our Adopt a Family Program which makes the holidays just a bit brighter for the families we help. 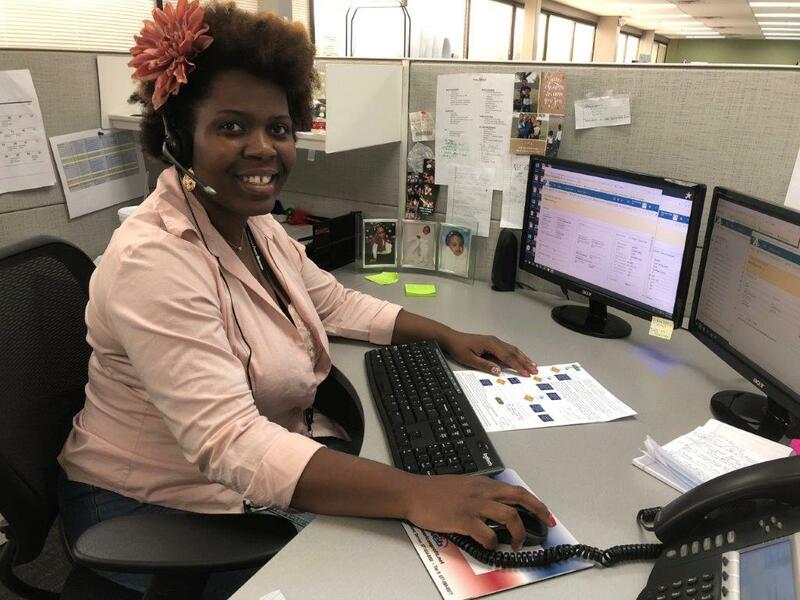 The management of this collection agency is so proud of our team that continues to lead the way each year and take complete ownership of helping the families. We know our team enjoys the holidays for a number of reasons but this is another one of the reasons why they love coming to work at American Profit Recovery every day. Have You Been Contacted by Us?